Philanthropy and community involvement are not just topics of conversation with our clients, but also a shared purpose of the entire Truepoint team. We actively engage in the community because we believe our team can make a positive impact where we live and work. We place great value on supporting causes that expand the experiences, skills and knowledge of the next generation – whether through in-kind donations, monetary contributions, or hands-on participation in community events. 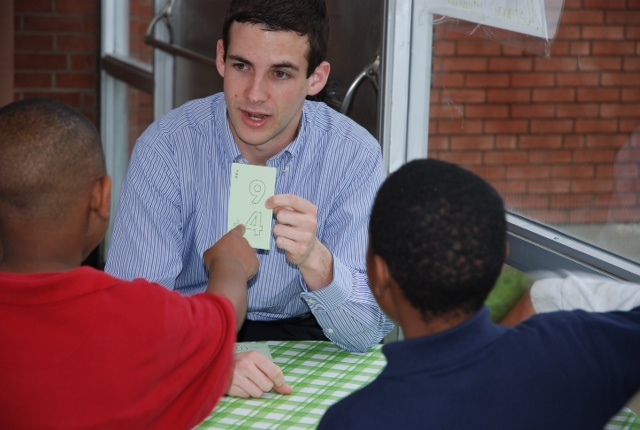 As a firm, we actively engage in youth mentoring and tutoring as a corporate partner of the Cincinnati Youth Collaborative, a lead supporter of ArtWorks and the organization’s summer jobs program, and as long-time participants and sponsors of Accounting for Kids Day. Individually, our employees also generously donate time and money to help others succeed. Many of our employees serve in leadership positions on boards and committees throughout the community. Recently, they have been recognized for contributions on the Governing Boards of ArtWorks, Cincinnati Parks, Dayton History, Boys & Girls Clubs, St. Joseph Home and Talbert House, as well as the finance committee of the Cincinnati Art Museum.